The Agile framework uses three pillars of Empiricism: inspection, adaption, and transparency. These three pillars empower the teams to focus on quality, value and continuous improvement. Along with Lean and Design Thinking, Agile is leading in the way in which we humans collaborate and succeed together in a digital world. This article reminds you of why this is so. With traditional software projects (often known as waterfalls) usually have already worked out very detailed requirements upfront. This leaves very little room to negotiate and change at short notice. Using the Agile framework, it is designed to accept change, it even expects it. Its empirical approach to inspect and adapt along the way provides the flexibility that the team needs to manage complex projects. The Agile framework helps you focus on asking ‘why’ so that your approach is aligned and responsive to business’ needs. This is achieved through user stories, acceptance criteria and backlog prioritisation to name a few. The opportunity to inspect, and adapt helps you improve and respond to change on the fly much easier than other more restrictive frameworks. Working in a collaborative team is at the heart of agile. This is because agile teams are always learning and working together to adjust and change throughout the sprints and iterations. As the team learns more and build on their knowledge and learnings they can then reflect and capture those learnings and take it with them in the next sprint or project (through retrospectives). It's this opportunity to reflect that makes agile so powerful. 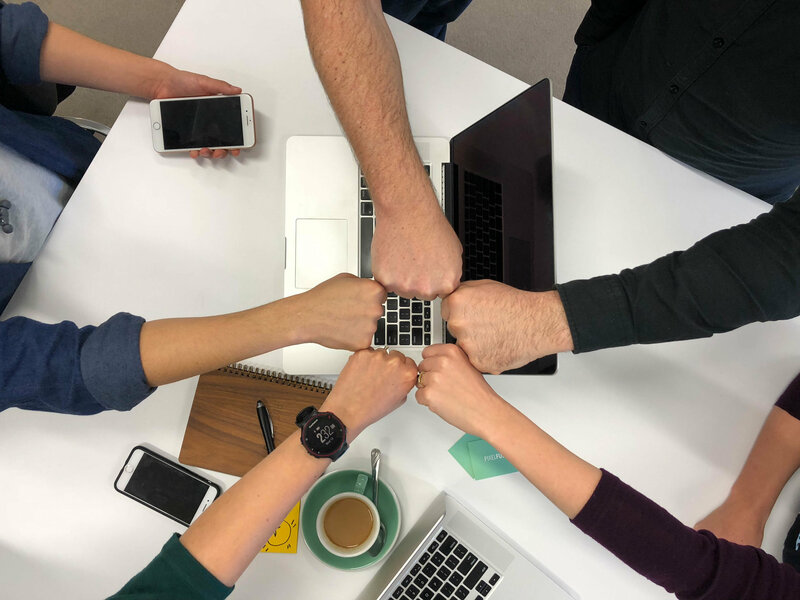 Teams working together in short, productive sprints means that features can be delivered incrementally. Plus using the tightly time-boxed agile ceremonies throughout the sprint, you can control time, cost all while still maintaining creativity. A smart recipe for a successful project. Agile teams working in regular time-boxed intervals means projects can be closely monitored and managed. Project Managers and stakeholders can track costs and know how much work can be accomplished overtime, and therefore the cost of each sprint. This allows you the ability to make budget refinements at regular intervals. This means you have more control to manage and avoid budget blowouts. Risk is reduced when using the Agile approach because you have the opportunity to inspect, adapt and continuously improve — getting feedback early reduces risk to a manageable state. Working closely with dev teams and stakeholders helps eliminate the chance of failure. Through a formula of daily stand ups, constant communication, regular testing and constant feedback loops help ensure nothing is missed ane every issue is captured and managed immediately. Tracking and visibility of the project improves because as the team is building the project, there are opportunities to inspect, adapt and reflect on the project on a daily basis. Having these time-boxed opportunities enables the team to respond to change quickly in an ‘Agile’ way. Every level of the business will know what is going on because agile promotes full transparency by using all the agile ceremonies made available. Daily updates and progress charts offer concrete, tangible ways to track progress and manage expectations at every level. Transparency is one of the values of the agile framework. Quality improves because testing is incorporated into the activities from the beginning. The use of other agile techniques such as acceptance criteria and definition of done ensure that a standard is in place that can be met before a feature is ‘done’. You have the flexibility to test and switch often. Being in a cross-functional team allows testers and developers to work alongside each other. Enabling them to work together and not apart. The Agile approach for making digital products encourages continuous innovation and allows the chance for businesses to become disruptive market leaders, shaping their own futures. Agile approach helps improve team morale. Keen to learn more about working with digital product studios and agile? Flick us your details in the big punchy pink form below, and every time we write more posts we’ll send it to your inbox. It’ll be safe there and you can read it any time. You’re also more then welcome to flick me an email and come have a chat with me at The Space_Bar at our office.